Four colleges and universities from West Virginia’s Northern Panhandle are joining financial aid forces to give free help this month to students and their families in completing the Free Application for Federal Student Aid (FAFSA) and other financial aid forms during College Goal Sunday. College Goal Sunday financial aid workshops will be held from 1 to 4 p.m. Sunday, Feb. 15, in the B&O Building (use main front door) on the Wheeling campus of West Virginia Northern Community College, 1704 Market St., and at 23 other locations throughout the state. Participating at the WVNCC site will be financial aid experts from Northern, Wheeling Jesuit University, Bethany College and West Liberty University. Students who attend a College Goal Sunday workshop will be entered to win a Samsung Tablet. Anyone who is planning to pursue some form of education and training beyond high school within the next year should complete the FAFSA. That includes high school seniors, current college students and adults thinking about earning a degree or skill certificate. College Goal Sunday workshops are open to students of any age or income level. The College Foundation of West Virginia (CFWV), the West Virginia Association of Student Financial Aid Administrators and several other college access programs including TRiO and GEAR UP work together to coordinate the event. Current tax records, including W2s and this year’s or last year’s filed returns, for you, your parents or guardians and/or your spouse. Records of your current untaxed income, including child support, worker’s compensation, untaxed portions of pensions and any other untaxed income you may receive. This information will be kept completely confidential, and those attending will work one-on-one with financial aid experts who will not share or save their information. 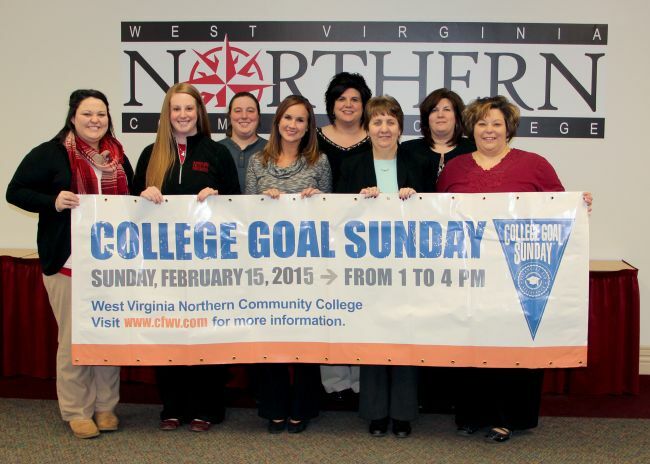 To find more information about College Goal Sunday or to pre-register, visit cfwv.com.